InfoSAWIT, JAKARTA -In the recent days, to avoild the tax, a new regulation about controlled foreign company (CFC) has been running since July 2017. Through the regulation, the government has its authority to make dividend tax to the company belonging to the citizen of Indonesia who protects in the ‘heaven of tax’. The regulation would make the same kind companies difficult to avoid tax. The other regulation was about sustainable finance that Otoritas Jasa Keuangan Indonesia (OJK) proposed. The regulation regulates that every share and obligation company including palm oil plantation companies in the Indonesian exchange should report the sustainable strategy, business practices, and social riks management that the companies do. The big companies should obey the regulation in 2020. Actually, the financial regulations that lead to green fund urged the planters that still needs modal from the banks to realize the social and environmental policy. But the facts showed, many banks do not implement the green financing policy to distribute their investment to palm oil plantation companies. Agus of CEO Lanskap Indonesia also mentioned, for the banks did not implement the green financing, they would face other high risk, such as, reputation, expensive operational cost. If the companies getting the modal face environmental issue, such as, damage, they would be fined reaching US$ 81 million. This happened in plantation company in Riau. 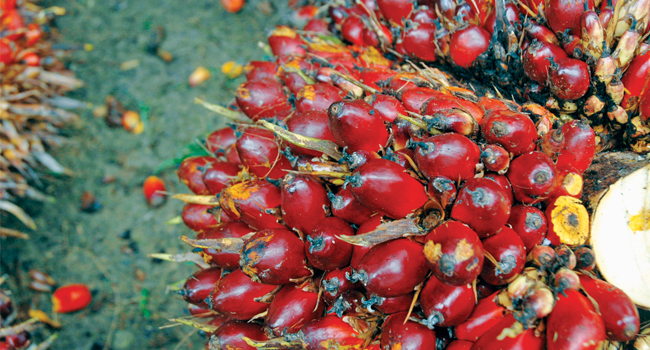 Their income would be no more for they loose clients, such as, the refinery, trader, consumer goods, as palm oil consumers implementing no deforestation, no peat, and no exploitation (NDPE) policy. It means, they would be difficult to get alternative buyers. In the last several years, about 70% of the refinery or 365 refineries and palm oil traders, such as, Wilmar, Musim Mas, and the consumer goods, such as, Unilever, and Kraft Food implemented NDPE policy.